Total of brand 'Mace': 0 factory cars, 0 reproductions, 1 total. 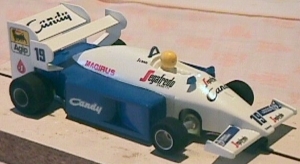 Small company in Brazil, who makes formula ones based on Estrela's chassis, modified Estrela bodies, and in some cases their own resin cast bodies. They make cars which Estrela did not make.